Paul Henderson was appointed Deputy Chief of Staff & Public Safety Director by the Mayor of the City of San Francisco, Edwin M. Lee, in March, 2011. As Deputy Chief of Staff, Mr. Henderson serves as a principal advisor to the Mayor and is responsible for the development and implementation of strategic policy and administration among various cabinet and supervisory officials of the local government. 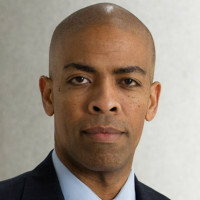 The City of San Francisco has over 27,000 employees, and Mr. Henderson is responsible for managing the various city departments that provide direct support to the Mayor on major issues affecting the city with an emphasis on the criminal justice system and local, state and federal partners.